Dax Callner has over 20 years of experience developing marketing programs for some of the world’s leading brands, including P&G, American Express, GE, eBay, MasterCard, Google, Intel, Microsoft, Pitney Bowes, Facebook, Motorola, Dell, Kraft, Bloomberg, General Mills and many others. His work has included the development of multi-channel marketing campaigns, digital strategies, street-marketing initiatives, business and consumer events. He can be reached at daxcallner.com. As human beings are ever-more glued to their phones…computers…tablets…smart watches, the desire for physical experiences and face-to-face connections is more tangible than ever. This need extends into trade shows – where attendees are hoping to have one-of-a-kind experiences with each other and with representatives from participating brands. Many event sponsors understand this trend and are working with organizers to rethink sponsorship, moving away from traditional exhibits (yawn) and into much more experiential activations. Think of an activation as an experience in which the audience actively participates. For instance, if you attend a car race, you might cheer along with the crowd, but you are an observer, not a participant. But if you get a driving lesson with one of the cars on the track…you are actively involved. American Express is a brand that has become known for creating experiences rather than more straightforward marketing tactics. Their presence at the 2018 U.S. Open, for example, included an interactive live game for tennis fans to immerse themselves in the game. In the past few years, Google has been focusing on brand experiences over booths as well. 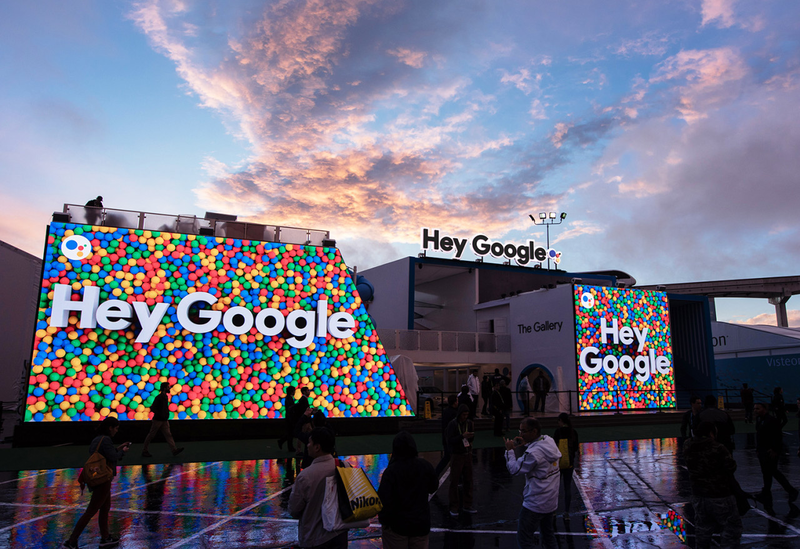 At CES 2019, attendees lined up for the “Hey Google” activation, where they playfully interacted with a range of Google Assistant experiences and even took a ride through a day in the life of a user. Some organizers are also creating bespoke experiences within their shows, recognizing that these activations help reinforce the value of attending their event. For example, in the 2017 CONEXPO-CON/AGG, the Association of Equipment Manufacturers curated a Tech Experience, in which attendees got hands-on experience with future technologies in the construction industry. The activation was as much about creating opportunities for exhibitors as it was a true value-add for attendees, strengthening the relationship between the visitor and the show itself. The CONEXPO-CON/AGG Tech Experience has become a reason people attend the show. How Do We Create Activations? Event owners with an innovation mindset must help guide sponsors who are open and interested in thinking beyond the booth. An effective activation is developed collaboratively with both the organizer and sponsor. Meet an attendee need. activations are much more about the attendee than they are about the brand. Ask, what attendee needs can this experience help with? Make it shared. People come to events to share in experiences with their peers and with human beings that represent a brand. This is why traditional VR experiences aren’t terribly interesting (because they tend to shut us off from others). Consider how people can do things together and how it might also be fun to watch participants. Bring the fun. This surprisingly often gets forgotten. As you ideate, make sure not to lose the fun factor (remembering that what is considered fun may change based on your target audience). Will the audience actually enjoy participating in what you are proposing to do? Tie it to the brand. We’ve all seen audience activities that may be fun but have little or no connection to the brand at hand. A successful activation reinforces key attributes of a brand. Work to understand the brand DNA and make sure the experience feels connected to what the brand stands for. How Do We Sell Activations? Selling activations is more complicated than selling exhibit space, it just is. As activations are unique, they don’t naturally slot into a prospectus. If the event does have a prospectus, as most do, note that custom brand experiences are available, and that your team would be happy to talk about unique ways that sponsors can create experiences at your event. If your event has its own activations you might also consider selling sponsorships of the experience, noting that from a brand hierarchy standpoint, you might want to maintain “name ownership” of the overall activation itself. Selling activations requires a consultative approach and collaboration to help sponsors develop their presence. This may require a different skillset amongst salespeople, but it is a worthwhile investment of time and resources. The industry is moving towards more and more activations, show organizers need to be prepared to take advantage of this opportunity.